According to Karen Plaster, co-director of the center and an associate professor of practice, the college pursued the initiative for two reasons: First, partnering school districts were seeking STEM training for their teachers; second, the college, which has an urban focus, thought the new center would "further support our faculty's existing collaborations with urban school districts." College faculty will visit partnering school districts, including those in Summit and Start counties, to evaluate educators' STEM education needs and their current programs. Also, the center will offer STEM-oriented workshops for teachers as part of their credentialing requirements. 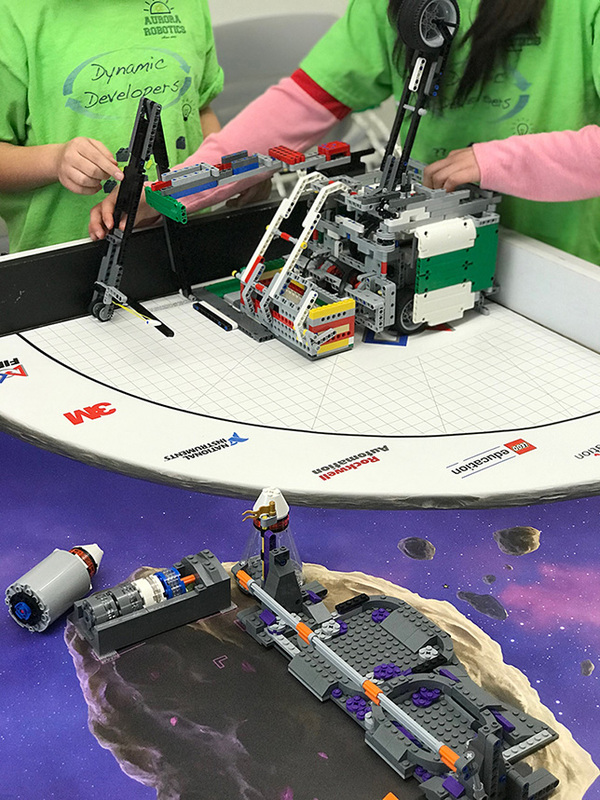 During the open house for the Urban STEM Education Center, student members of an area robotics club demonstrated a robot made out of Legos as part of the First Lego League, a competition for elementary and middle school students. Source: Urban STEM Education Center. An advisory board with current STEM education faculty, STEM experts from elsewhere on campus and representation from STEM organizations in the community will soon be set up. Among the upcoming events and workshops is a mini-hackathon for girls in grades 6-12, a math teachers' "circle immersion," an engineering summer camp and a summer teacher institute covering STEM education and entrepreneurship. "Our new Urban STEM Education Center will provide valuable professional development and research expertise to educators in our urban and inner-ring suburban districts as we collectively develop new methods to educate elementary and secondary students in STEM content areas," said Jarrod Tudor, interim dean of the college, in a statement. "Additionally, our teacher education students who desire positions in these districts will be exposed to data-driven and tested instructional methodologies, which will make them the best candidates for education jobs as they graduate."